You have to be a SDTC member with membership for 2019 purchased to join this program. Either log-in and extend through the 2019 season or join to get access! If you are having trouble signing up for the Boston Training program, please email membership@sandiegotrackclub.org for assistance. Now that you have registered and been accepted into the Boston Marathon, why not train with the most successful local training program in San Diego?! Qualifying and being accepted into the Boston Marathon is an amazing accomplishment! Train with our group to help you stay focused and build friendships with other Boston-bound runners as you prepare to conquer the course. This program is presented by the San Diego Track Club. It is perfect whether you are training for your first Boston Marathon or are an experienced runner. It will help you train for a new PR with other Boston-bound runners. Past participants have gone on to form lifelong friendships and share in the journey to Hopkinton! 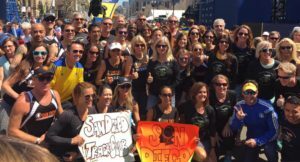 The Boston Marathon training program offers a separate five-month training schedule but includes all of the benefits associated with SDTC’s hugely successful Rockin’ ‘n’ Runnin’ Marathon Training Program (RNRMTP). This small group is typically made up of 40-50 runners from all over San Diego County. 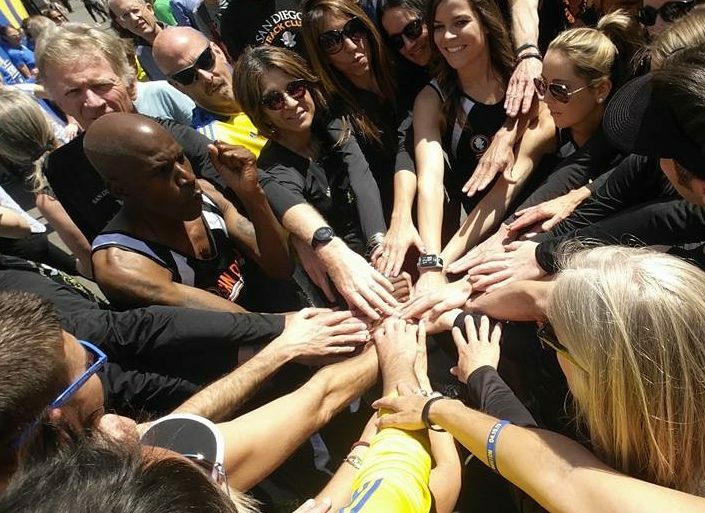 Typically, the weekly schedule coincides with the RNRMTP group such as Tuesday night track workouts under the lights and Saturday long runs to take advantage of the all the support and coaching such as long run aid stations, guest speakers, race entries and other RNRMTP program offerings. Our Boston Training Program officially begins in November, about six weeks before the RNRMTP kicks off. We will have our own pre-Boston dinner in April. 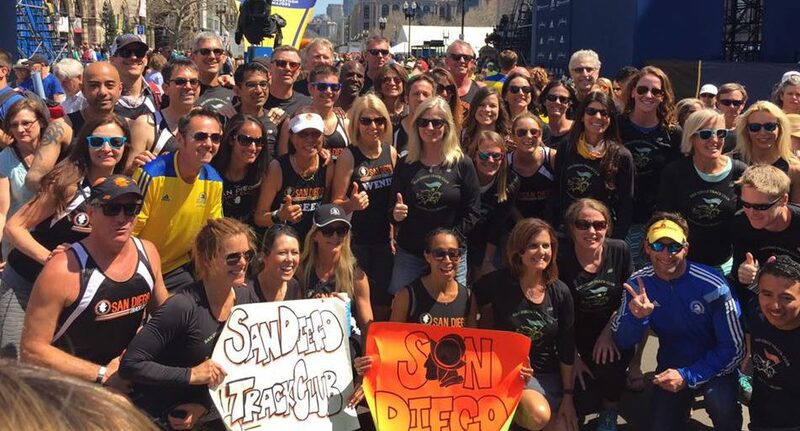 Upon your return from Boston, you are welcome to continue to participate with the SDTC runners training for M2B in May and RNR SD in early June and enjoy the benefits of RNRMTP. This program is open to all who have already qualified and been accepted to run in the next Boston Marathon. Typically registration confirmations are sent in late Sept or even October depending on the strength of the field. Our training program may be adapted to the many age group qualifying paces. We know that a 4:00 hour effort for an older runner is just as difficult as a 3:10 effort for a younger runner so all who have qualified will get the individual attention specific to their own goals. Our Boston Training aid stations best support runners in the 2:50 – 3:45 targeted marathon time; if you are outside of this range, please let us know. Our goal is to balance providing the best possible support to our runners that we can with the limited resources/staff that we have. One of the primary focuses of the training program will be to keep you injury free but should you find yourself sidelined, all efforts will be made to modify your training schedule if required and get you the right physical therapy until you are back on schedule. After registering, you will be sent an introductory email from Coach Hutch and a questionnaire so we can better understand your abilities and goals. Cost of the program does not include entry into the Boston Marathon. Contact at: rnrboston@gmail.com or (406) 544-6005. 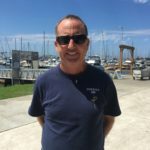 “Hutch” brings to the program his years of experience with: two Boston Marathons, seventeen total marathons, a 2:44 marathon PR, a 1:18 half marathon PR and over thirty five years of running and racing. 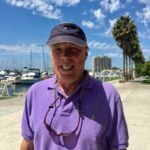 He has mentored, coached and assisted many runners over the years and takes a personal interest in each and every runner.